Buon giorno and welcome to Stefano’s RomeCabs, Rome’s leading company for Transfers and Tours. 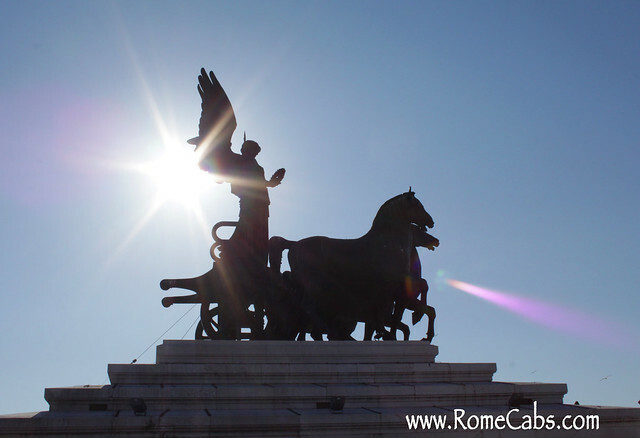 Our goal is to make your arrival and departure in Rome as pleasant and seamless as possible. Booking your Airport Transfer in Rome is an important travel plan that will help make your arrival in Rome pleasant and stress free, and your departure from your Rome hotel to the Airport (FCO/ Fiumicino Airport or Ciampino) a well timed transfer arriving in time for your flight departure. Make sure that you book your transfer in Rome based on your Arrival Date in Rome – not your departure date if you are traveling from, for example US /Canada, where your trip starts the day before your arrival in Rome. If you will be changing flights along the way, be sure to include the Flight Number of your arrival at the airport in Rome. It is very important to have your correctly Flight Number arriving at Rome’s airports so we can track your flight for late arrivals, and terminal numbers to pick you up at. Without the correct flight arrival at Rome’s airport it’s virtually impossible to provide accurate service. Why is it important to include your telephone number in your reservation? Emails are not always successfully received, may bounce back due to non-delivery, or may end up in the spam folder. Without a telephone number to contact you, there is no other means to reach you with important or urgent information regarding your service. In Italy, if you bring a working cell phone, it helps stay in touch with you with important or urgent information about your service as phones are a much faster means to connect than via email for time sensitive matters. With no means to contact you other than email, it would not be possible to assist you with urgent matters surrounding your service. By not including the correct AM or PM time after your hour and minute arrival, it may result in inability to provide accurate price and service. If you need to arrive at the airport 2 hours prior to your flight departure time, schedule your pick up in Rome at least 3 Hours Prior to your Flight Departure Time. In order to be provided the proper size vehicle for your needs, please be sure to include in your reservation booking form the total number of Large Suitcases (check in suitcases) and Carry Ons. For example, a party of 1-3 is priced for a car service. If you plan to bring luggage in excess of what a car can accommodate, you may require a minivan upgrade. If you are a party of 6-8 that will be bringing in excess of 8 suit cases and 8 carry ons, you might require an additional vehicle if your luggage exceeds the luggage capacity of a vehicle. When providing the luggage count, we can advise of the proper size vehicle for your needs. In our confirmation email, you will receive all the necessary information to prepare you for your arrival in Rome. It is imperative that you read the information carefully and watch our video HOW TO MEET OUR DRIVER AT FCO AIRPORT so you will know what to expect when arriving at the airport and where to meet your driver. It’s important to keep a copy of your confirmation email as it also includes our emergency contact number, should you need to reach us with an emergency. Missing your flight and arriving in Rome on a different flight, your flight is delayed, your flight number has changed, your arrival time has changed, you are delayed in customs, your luggage are delayed, your luggage is lost and you need to report it, you are unable to find the Meeting Point and your driver. Many travelers prefer to travel making plans last minute as they go. They may book an incoming transfer before they depart for their trip… and then just before they need to return to the airport they book another transfer. When traveling abroad in a foreign country it’s best to secure all your transfers needs in advance to avoid costly mistakes. However, to ensure all your transfers are taken care of and secured in advance it is RECOMMENDED to book ALL your transfers together before your trip when you are not rushed. Availability for last minute transfers may not be possible, especially during peak travel months. Booking last minute and in a hurry can also result in providing the company with incorrect information which will result in service not being provided correctly. We hope this information helps with your travel plans to Rome and booking your Airport Transfers with Stefano’s RomeCabs. Buon giorno and welcome to Stefano’s RomeCabs travel blog! Our mission is to help and advise visitors and cruisers to Rome make the best of their holiday in Italy! When you go out to a popular restaurant on a Tuesday night, usually you don’t need to make reservations. However, if you plan to dine at the same popular restaurant on Friday evening, without advance reservation you may not get the table of your choice, you may encounter a long wait, or not be able to get a table at all. The same applies to booking private companies for transfers and tours, and it can make the difference between a relaxing and hassle free experience, and a stressful and difficult one. During the off season months, usually November to March, last minute bookings are usually accommodated in many cases. But during the peak season months, especially May through October, the most reliable and well recommended transfer and tour companies are the first to get fully booked. As a result you may find yourself fumbling online looking for different car service companies, using airtime minutes to call around if they don’t respond to your email request in time, and then only to find yourself at the mercy of lesser known, unknown, less reputable, or questionable companies that would not have been your first choice at all. And this can make the difference between a carefree, safe, and enjoyable transfer and tour experience, and a frustrating, uncomfortable, and potentially unsafe one. Waiting until last minute and finding out the most recommended companies are fully booked comes with some unpleasant circumstances. For one, it leaves many who require transfer services having to rely on taxis and their availability at the airport. This means if you are a party of more than 3 persons, have extra luggage, need a child seat, are wheelchair bound, or need extra service you’re at the mercy of what’s available at the taxi ranks. You might even require more than 1 taxi if one vehicle cannot accommodate your group or your luggage. All of a sudden, the price of transportation just doubled! And unlike reputable companies that charge clients only the quoted price so you know in advance what you’ll pay, the same cannot be said about all taxis or fly-by-night companies. During rainy weather taxis are in demand and you may have to wait a long time at the taxi rank for cabs to arrive at the airport. Even worse is if you require a taxi to take you to the airport. If you need to make your flight on time, this is a risk not worth taking. With a private car service reserved in advance, these are someone else’s headaches, not yours. Taxis are also difficult to find at the airport when there is a public transportation strike because they are much in demand in Rome itself. When taxis are busy locally, they will not travel to the airport unless they are dropping off clients they picked up in Rome. When all the train takers need a taxi to get into Rome, the demand for taxis just increased a thousand fold. And once again, if you are in a hurry to get to the airport and there are no taxis readily available, it spells trouble for your trip home. Hopefully you don’t need a transfer during a taxi strike (which has happened on a few occasions in Rome in January 2012) and be forced to take public transportation when you are among those who find it difficult to do so. Public Transportation is a great mode of transportation for many travelers, but may not be a pleasant experience if you’re traveling with a lot of luggage or heavy luggage, children, are elderly, disabled, wheelchair bound, and extremely jetlagged and exhausted. Leonardo Express stops at one of the farthest tracks at Termini Station that requires quite a bit of walking to get to the metro, bus and taxi area. Once you’re there, your choices are once again: metros, buses, or taxis. If you plan to take the bus, you’ll need to know well in advance which bus number to take (there are dozens of buses at the stop, it might take some time walking back and forth to find the right one…only to have to wait for it if it hasn’t arrived yet), which bus stop to get off at, and where exactly is your accommodation from there. If you are taking the Metro, you will need to know if it’s the A line or the B line, and which direction you need to go….in some cases, you might even have to take an extra bus if the metro stop is not near your accommodation (as it’s often the case with off the beaten path B&B’s, rental apartments, and other types of accommodations). If by the time you arrive at Termini station you decide to take a taxi, you’ll have to put your trust in the taxi driver that he will be honest with the fare and the short drive to your hotel won’t cost as much as the transfer from the airport itself. Tours also get booked early during the peak season. This is further impacted when numerous ships arrive in Civitavechiaat once, and thousands of people have booked shore excursions in and around Rome. With limited number of professional and experienced English speaking driver guides in Rome, tours get booked up rather fast. This leaves you with very few alternative options. Public transportation such as trains and buses are not always convenient, are time consuming, and not very reliable for day trips in many areas outside of Rome – especially in less touristy yet very attractive areas. During the hot summer months it proves to be uncomfortable as well. There are very few options available, and probably not where you wanted to go. If you are on a shore excursion from Civitavecchia, and there is a public transportation strike, your options of getting to Rome on short notice are very limited (and very expensive if you opt for a taxi). Renting a car for the day works for some people, but may not be a practical option for many either because it can be an expensive or a time consuming process. If you are on a shore excursion and renting a car, you must be sure not to get lost or delayed in any way that may cause you to miss your ship. Here are a few tips to consider when planning your vacation. * Book your airport and port transfers when you book your airline tickets. * Book your shore excursions once you book your cruise and know the places you’d like to visit. * Book your day trips after you booked your hotels and once you decide on the places you’d like to visit. With a little planning in advance and booking early, you will have the peace of mind knowing that you won’t have any last minute hassles booking the services you need with the companies you trust. You may also visit our sister company Stefano Rome Tours at www.StefanoRomeTours.com. We’d love to hear from you and help you make your visit to Italy a most memorable experience. Do you have any practical travel tips and ideas you’d like to share? We’d love to hear from you in the comments box below. Thank you for stopping by and reading our blog. We wish you Happy Travel and hope to see you in Italy soon! P.S. This blog was inspired by stories and experiences shared with us by other travelers. We thought we’d share them with others in order to help them avoid the hassles these folks experienced.